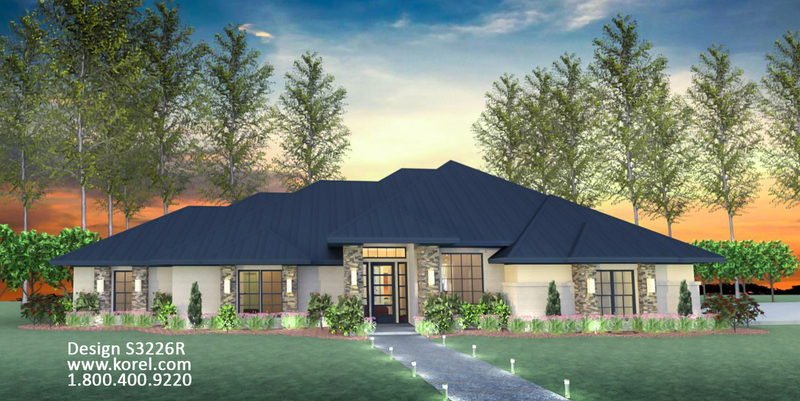 In the same family linage of my design S3112L comes a more “Texas Contemporary” Style 4 Bedroom, 3 1/2 Bath, 3 Car “Extra Deep” Garage, Optional Study or Dining Room, Children’s Play Room, and Outdoor Living Area with Outdoor Fireplace. Most rooms have 9′ ceilings and 6′-8″ tall doors. The Family Room has 12′ Tall Ceiling and the Outdoor Living Area has a Vaulted Ceiling. I gave all Bedrooms nice size Walk-In Closets. The Half Bath also serves the Patio has a nice Cabana Pool Bath. Your Master Bath is set up for a Pedestal Free Standing Tub. 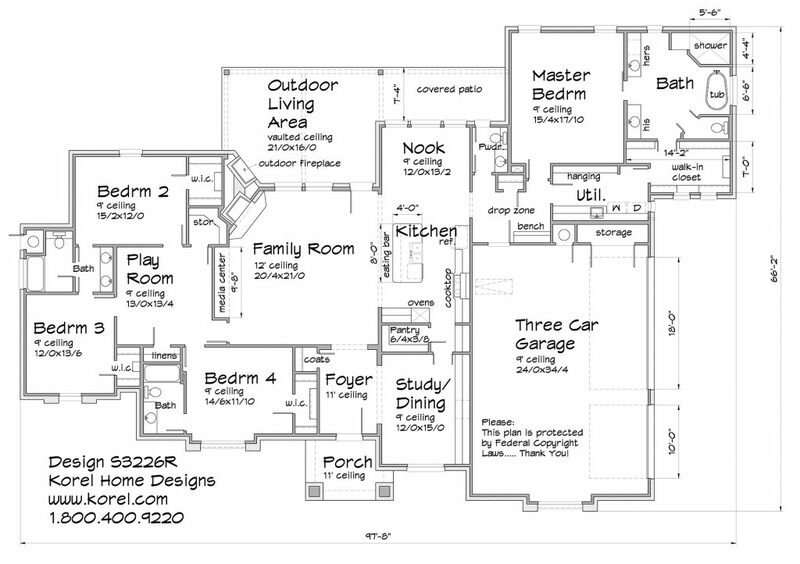 Beautiful Island Kitchen open to the Family Room and a Walk-in Pantry.